Chinese smartphone manufacturer Meizu may not be a household name outside its homeland, but its latest handset is looking to take on the world. Say hello to the Ubuntu-powered Meizu Pro 5. The Ubuntu operating system has only appeared on a handful of devices, of which four have been built by Meizu, so it's still a relative newcomer in the mobile OS world where iOS and Android are king. It's got solid support in the Meizu Pro 5 though, with the handset packing an octa-core Samsung Exynos 7420 processor (the same chip that you'll find in the Galaxy S6), 5.7-inch full HD AMOLED display, the choice of 3GB/4GB of RAM and 32GB/64GB of internal space, 21.16MP rear camera, 5MP front snapper and a fingerprint scanner. We're still waiting to find out the price, which we're told will be revealed on February 22. It's safe to assume it will be comfortably cheaper than the Samsung Galaxy S6 though. 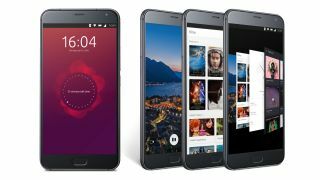 The Ubuntu platform is built by Canonical, which is rolling out the software to phones, tablets and computers for a seamless user experience. The interface is a little different to that of iOS, Android and Windows 10 Mobile, with key applications highlighted with Ubuntu's Scopes functionality. It's not all good news though, and the small app offering is likely to turn many consumers off as we've become accustomed to a wealth of options from the more developed names in the market. The Pro 5 will be available for pre-order worldwide on Meizu's website soon.